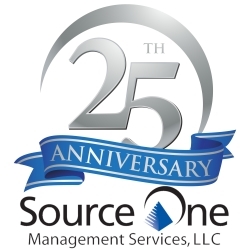 Source One Management Services celebrates its 25th Anniversary in delivering Procurement excellence. Willow Grove, PA, July 11, 2017 –(PR.com)– Expert procurement consulting firm, Source One Management Services, celebrates its 25th year in business as a premier provider of strategic sourcing and spend management services. Since its inception, the boutique consulting firm has focused exclusively on Procurement and Strategic Sourcing – impacting how Procurement teams interact with suppliers and elevating the Sourcing function’s role within the enterprise. Throughout its long history as one of the original procurement services firms, Source One has achieved significant success in not only directly producing cost in countless spend categories but also as thought leaders, providing expert advice changing the way organizations approach strategic sourcing and procurement. Established in 1992 in the Philadelphia metropolitan area with a vision of enabling buying teams to optimize their supplier relationships and purchasing practices through strategic sourcing, Source One Management Services has quickly grown and continuously evolved to help companies address ever-changing procurement challenges. Over the last decade, the firm has positioned itself as a powerhouse of thought leadership, launching the blog site/Google News Source, Strategic Sourceror, to provide procurement and strategic sourcing expertise, partnering with Wiley & Sons to publish Managing Indirect Spend, the world’s first ever book highlighting indirect spend strategic sourcing, speaking at countless industry events, and producing a portfolio of whitepapers. In 2015, Source One opened the doors to its Chicago office to accommodate business demands in the Midwest, and partnered with the Institute for Supply Management to produce the executives-only ExecIn Forum during the ISM Annual Conference. Most recently, Source One launched its web-based spend analysis tool, Spend Consultant. The spend analysis as a service platform leverages the firm’s decades of procurement experience to deliver an actionable spend analysis along with category-specific strategies for cost reduction success. The tool aims to solve a growing challenge for companies seeking a clear view of their spend – without the burden of implementing and integrating a software platform. This year also marks the relaunch of the consultancy’s eSourcing platform WhyAbe. WhyAbe’s relaunch continues Source One’s investment into tools that are custom-made for procurement professionals, by procurement professionals. The revamped eRFX tool will boast a new user experience and improved capabilities for identifying and collaborating with suppliers and managing contracts. The new WhyAbe will offer two subscription models: a free option for individual users, as well as a low-cost team option for businesses – serving as a starting point for procurement professionals looking for a more efficient way to connect with suppliers and manage vendor contracts. WhyAbe 2.0 is expected to launch in the second half of 2017. Source One Management Services is a best-in-class procurement and strategic sourcing services provider. Since 1992, Source One’s experts have offered exceptional procurement consulting, data analysis, and spend management practices, helping guide smarter purchasing, spend management and supplier relationship practices for Fortune 1000 companies. For 25 years, Source One has remained the number one choice for clients looking to optimize spend, benchmark costs and services, enhance market intelligence, and much more. For further information on Source One’s 25 years of delivering procurement excellence, visit our website: http://www.sourceoneinc.com/consulting-tools/sourcing-and-procurement-services/procurement-services-overview/.